In memory of a father and mother. 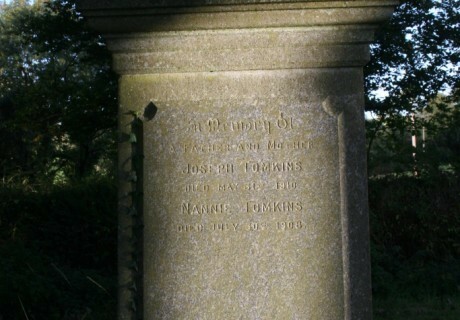 Joseph Tomkiins died May 31st 1910. 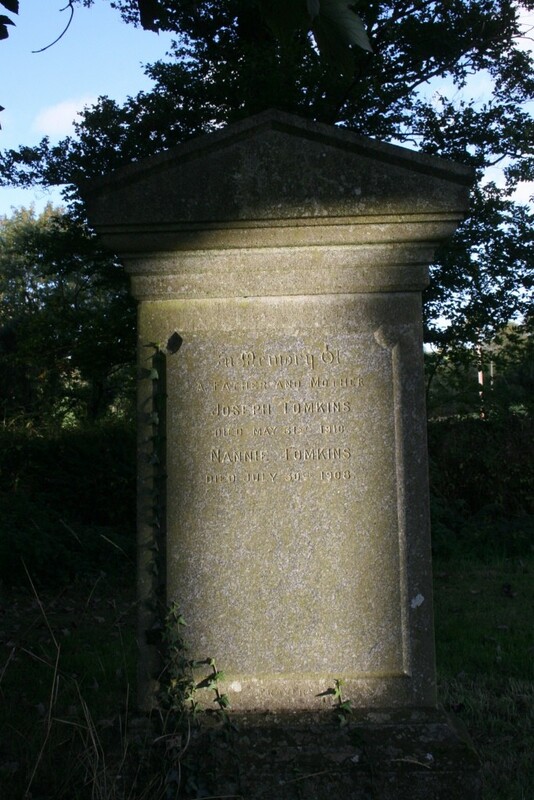 Nannie Tomkins died July 30th 1908.